When we reported on Breath of the NES, Winter Drake's 8-bit take on The Legend of Zelda: Breath of the Wild, the indie developer made it clear that if Nintendo did decide to take legal action to prevent distribution of the game then production would continue with different characters. That moment has come a little sooner than expected, as Nintendo has already filed a takedown notice against the game and it is currently not available for download from Drake's site. It stinks that Nintendo treats fan games this way. It's unfortunate that this came so soon, as I won't be able to release the massive update that was planned for this week. Ideally I'd like to make the final game a big cross-platform release on Steam. I may even start a Kickstarter once I can show off what the new game will have to offer. Thanks to Kalmaro for the tip! Not surprised and frankly can't see how anyone can see this as a disappointment in that they believe it shouldn't happen. You can cry till the cows come home stating that this "advertises" the IP but the fact is almost everyone knows that it exists and if it offers an alternative free game than the one you have to pay for (yes its 2D and all that but its still a workable game) it has the potential to slow or inhibit sales. Therefore zero surprise that any company would put a stop to it. Then there's the whole paranoia of how a property can be taken from you if you fail to prove you're actively protecting it. So now he has reached his goal to generate buzz for his original game. I agree, it does stink and I believe Nintendo should allow projects that don't make profit & don't compete with Nintendo's own product to continue... or take them in-house. I fully support Nintendo protecting their IP & in many cases I've backed their decision... but as with their ridiculous, near-illegal YouTube practices, they're hurting themselves where they could be getting free advertising & good will. It was pretty smart to blatantly label his project as a "Zelda game" to generate some buzz around it tho. He didn't have to lift a finger but still got a decent amount of publicity from a number of media. That said I doubt he ever seriously planned to make this a Zelda thing. He prolly would've if it went unnoticed/got a pass, but I can't imagine that he didn't work on the alternative stuff he has to use now parallel to the Zelda sprites and whatnot. Let's not get ridiculous. Find me anyone who ever said "boy, I was so hyped about BotW, but there's this 8-bit fangame that's coming out for free soon, so I'll settle for that". Anyone. Not to mention, things like Zelda Classic have existed for years now. They need to start dishing out harsher penalties for these things. Capitalising off other people's work and ideas is nearly as bad as those who hack and pirate games. @FX102A "Then there's the whole paranoia of how a property can be taken from you if you fail to prove you're actively protecting it." I can see your logic, but that's not how copyright works. Many companies allow fan productions under many circumstances. I also believe abandonment of copyright needs to have a willfull/deliberate element (this is going back to an old case where a Superman comic strip did not print it's copyright over a long amount of time & a company failed to prove abandonment). @SanderEvers That might certainly be the case, though it does make it easier that Nintendo is quite so litigious. Their behavior on YouTube is shameful.. likely why I'm feeling a little annoyed in this case. Just to clarify, I have not & am not blaming Nintendo for protecting their IP, as I stated Nintendo is within their rights here. Doesn't stop it being a dumb move (in my opinion). @DanteSolablood Are you replying to yourself? And if Nintendo don't want their stuff on YouTube, that's their choice to make. It was inevitable... but having received the takedown notice so soon could actually be a good thing. Without restricting themselves to the Zelda franchise they can now start to delve more into creating their own characters, etc. and the sooner they do that, the more time that'll have to develop alongside the game itself, which should result in a better game in the long run. @olrodlegacy Actually Nintendo are in breach of Fair Use & claiming videos which they actually have no legal right to. Knowingly making false claims is against the law, Nintendo make them knowing creators don't have the money to fight them in court. On top of that, they have a "partnership program" that they enforce, taking the majority of a creators earnings. They are literally claiming videos they have no right to legally & then charging anyone who wants to keep their content online. A protection racket. The cat is out of the bag: He wants to earn money with someone else's their property! Why else would he want to bring it to Steam. And with 32 bit graphics?! That would be a 1000 times less interesting for many people! Totally agree, it's funny they were talking about codemasters yesterday and I always remember thinking that about them 'back in the day'. @DanteSolablood Maybe the creators should come up with ideas which don't piggyback off Nintendo's stuff then? They know what the situation has been in the past, so why waste the time and effort in making the videos if they all have the same fate anyway. @olrodlegacy Actually the creators can make 100% original content & feature less than 5 seconds of a Nintendo game/property & have their entire video claimed, losing all revenue. This is an issue professional reviewers such as Angry Joe & The Angry Video Game Nerd have run into constantly. And you're right, I believe creators should boycott Nintendo's partnership program leading to Nintendo losing 100% of it's YouTube coverage - unfortunately people have lives & shouldn't have to bow down to a company literally abusing the law. As for the "piggybacking" claim... so it's your belief ALL review & parody should dissapear from the internet? One thing that always bothers me with these fan games is how these creators seem to always forget that Nintendo won't allow the use of their IP. Honestly at this point, I feel like it's just a publicity stunt. Step 1- Attach a beloved Nintendo IP so they can get some attention. Step 2- Spread the word on social media so that Nintendo definitely catches wind of it. Step 3- Get a takedown notice. Step 4- Make sound sort of sad reaction and use the attention gained to further their game. I'm fine with games copying ideas and basically using the same gameplay. Just make sure you create your own IP and assets but have very similar gameplay. A great example of this is Oceanhorn. 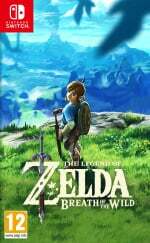 It's practically a Zelda game but under a new name and etc. Thing is, aside from piggy-backing on the publicity, he's also made it patently obvious up front where the ideas come from. 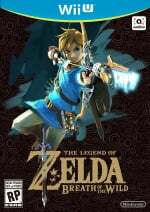 If he had never used the Zelda IP on this, just used his own creations from day 1, everyone would be crying about it being an obvious Zelda clone and scoring down for unoriginality. Now he can be unoriginal, but will 100% get away with it as it clearly started as a Zelda fan game, and Goliath Nintendo have made him into David the plucky underdog. I'm all for people playing around with franchises they love for fan made art and games, but it gets really iffy when you have the facility to earn money from it, even if they are just voluntary donations. I think people should keep these offline until they are finished, maybe uploading a video to YouTube to show progress early on if they want to show their work off. What I dont get is, why do people still even bother to make Nintendo fan games? I mean at this point, everyone should know that the time developing those games is wasted because Nintendo will take those game down ASAP. I think their Like meter is exceeding to Worship Level. They Adore too much, blinded by what they worship about. It's not a LOVE anymore, It's a LUST. not surprised, but. good luck to the developer on his game! seriously how many games have Nintendo shut down & a new one comes along & supprised Nintendo shut it down lol. Going to happen eventually. Should've just tried to get in contact to Nintendo in advance and make some deal or started with using different graphics to make it non-zelda related. funny how this game has been possible for ages, but it still takes nintendo making one first so it can be copied. I really have the feeling this guy had happen exactly what he wanted to have happen. Noone doubted Nintendo would shut him down, even the creator himself and he's all ready going ahead with new graphics, his own designs, Steam and kickstarter? He was fully prepared and had a gameplan. I believe he did this solely for the publicity it would bring his own game. Smart on his part. I think it was a smart move using nintendo's IP until the shut down occurs all the while planning on converting it to something original later. He got some recognition and even had the game a playable state for people interested in it. Good way to publicize your project . @DragonEleven From the last story NL posted about this game he was ready to swap everything out. This stinks of using this as cheap advertisement to get morons screaming "How dare Nintendo", while also getting his game out there. @AG_Awesome You say smart, I say dirty. I saw that internal prototype Nintendo showed with 2D and thought, "Yes, do a Zelda maker! You're halfway there!" You let something like this go on and that becomes an issue for Nintendo having to be compared to something that directly uses their own IP and apes their own internal research and development and prototyping. It's a fun experiment, and I think Nintendo should give a home to projects like these where it can exert control but fans can express themselves, but the way this was done was stepping on the toes — and standing on the shoulders — of Nintendo. As for whether this guy should have done it? Well... let's see how the new game comes out. @olrodlegacy Those two aren't very far apart in the marketing industry. I'm super excited for the steam release! Turns out you can't just appropriate copyrighted characters and intellectual property! I get why nintendo protects their intellectual properties. They have high standard when it comes to Mario, Zelda or Pokemon so they don't want new players who try a potentially poor quality fan game to think it is the real thing. After I distribute that news to all Nintendo and general gaming sites, Kotaku writes an essay on it, and NL interviews me for the concept and design, if for some unexpected, totally unpredictable, horrible corporate greedy reason Nintendo were to someday in the distant future issue me a C&D, I VOW with all of my being to fulfill my promise to each and every one of you, my loyal fans, I will continue development with my own assets and characters as a new IP titled "Blocky Guy In Jump City", so please look forward to that! No, it doesn't stink that Nintendo treats blatantly ripped off fan games from people who are just looking for attention by name dropping instead of coming up with something original in the first place. What stinks is this guy thinking he's going to go to Kickstarter with this and actually make it work. @RedMageLanakyn Why would that stink? He is changing the assets to not be a Zelda game. So yeah, it will work, cause people love nostalgia and that classic zelda-esque gameplay. Man, can you guys read this article up on your high horses? I have so many mirrors up for this, it will never be gone anyways. @MajinCubyan The way he went about generating buzz was beyond idiotic. To express his disappointment when he knew it was coming is dishonest, because this was his plan all along. If he would've made the game with his original assets in the first place and made subtle references to zelda, it would've came off as more of an honest attempt. We're not on high horses, you're just so far in the gutters trying to defend this guy and keeping his game available you have to crane your neck to see us who are on solid ground. Not surprised at what's transpired. To me...he should have been able to present this to Nintendo, make a sales pitch, use his own assets if it didn't work. Thankfully Itoi himself told he wants to the player this time around and It's very interested in the new MOTHER 4 fan game, otherwise nintendo withouth a shadow of a doubt would kill it too. This dude is pretty smart. He put Zelda in the title, and then I think he waited for Nintendo to take it down. While doing that he got a lot of attention. Smart, but wrong. @Henmii Um..what? Obviously with Zelda attached to it he wouldnt sell it. But now it doesn't, so he can sell it. @NEStalgia and what will you do when DC sends you a cease and desist for using their fictional location of Jump City? @ShadJV LOL, darned generically named IPs. As someone who only pays attention to comics when they're made into a video game, I plead the fifth. @Neferupitou Mother 4 is rebranding soon, Nintendo won't be able to do anything about it. Nintendo actually has their own, unreleased NES-Style version of Breath of the Wild. Look, I know being creative is hard but just make your own game. Or go work for the company that makes the IP you are so desperate to work on. Good on Nintendo for the C&D. @Eric258 They are well aware. However many fans often get the idea in their heads that an IP is "theirs" just because they like it and spend money on it. That is why when these things go south you get people saying it was wrong of the big bad company to pick on the helpless fan or whatever. However I find it funny that no one thinks of the work that the devs and creators that work for Nintendo put in. Nobody cares about stealing from them because they are a part of a company. @Ryu_Niiyama @Eric258 Eric has it right on this one. This was clearly not a "woe is me, my fan homage is unfairly targeted" instance. This is a cynical and skilled manipulation of that system as a means of viral marketing. The unfortunate thing is Nintendo Life is helping prove to the next bunch that it's super effective. @NEStalgia Oh I agree with Eric258, in that such tactics are calculated to garner attention and support. However it is successful because people like to pretend that corporations are after them personally to keep them down or beholden to them and should cater to them personally. That is precisely why I refuse to do anything artistic (well if you don't count woodworking) for profit. I've got a few novels I've written to hone my skills but I won't shop for a publisher because I can't deal with "fans" (Provided I was successful of course). Teleport me to a new world or a new time...or both. Please. However I still plead with people to do their own thing if they want to make money off of it. And give credit where credit is due. @shinesprite Indeed, that's what inspired the version that Nintendo has DMCA'd, it's all well and good Nintendo having that game... maybe other people want to play it? I think it's presumptuous to assume Winter Drake developed Breath of the NES for the sole purpose of promoting an original work. As a fan of Zelda, would you not want to play the prototype Nintendo demonstrated? This guy just realized he could create it himself and share it with others. His acceptance of the possibility that Nintendo would attempt to stop him isn't evil, it's pragmatic. Also, to say that all fan-works should cease to exist just because the IP holder does not like them is absurd and borderline censorship. Furthermore, there are numerous fan-games which have been released that Nintendo has left alone. There are even websites solely dedicated to fan-games of a particular series. Even if you agree with Nintendo, they are inconsistent in their (misguided) attempts to protect their IP. @Mariotag It's a long topic to go into, but basically Nintendo are abusing YouTube's copyright claim system so they can run a protection racket. It's one of the reasons Nintendo has less than a tenth of the online presence of the other consoles & PC. Hmm, I don't know. He might still use the Zelda-name, I don't know how easy-going Steam is. Either way, this sounds very fishy (from the creator of this title, not Nintendo). @Henmii Again, it's now known he CAN'T use the Zelda name, because Nintendo intervened. And because he CAN'T, he can use it as an original IP and THEN sell it on Steam should it get past greenlight and stuff. You aren't listening. Should've kept quiet until AFTER the update! I meant he could do it sneaky, waiting for Nintendo to take action. You know how things go! @Henmii Yes. I do. That's exactly why I'm telling you what you're saying is nonsense.